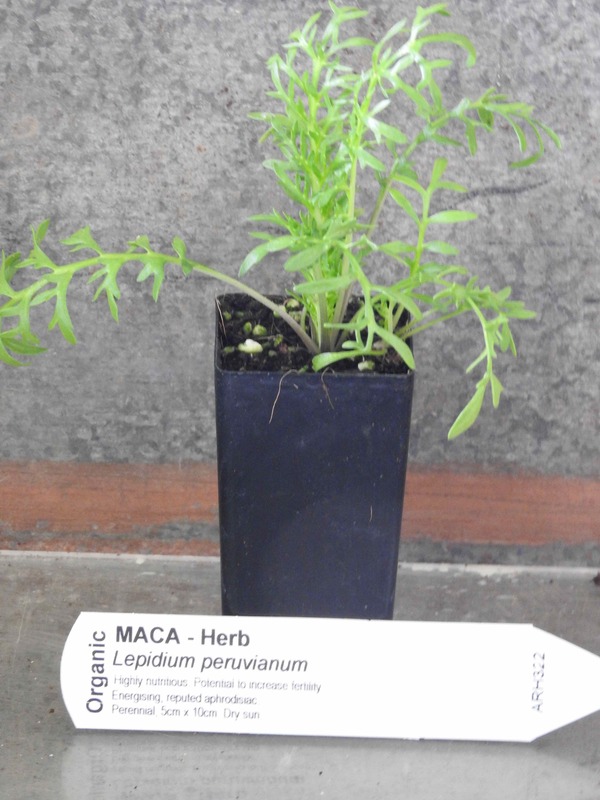 Maca plant, Lepidium peruvianum, is sometimes known as Peruvian Ginseng. Highly nutritious radish like roots. Significant interest in their potential to increase fertility. Energising, reputed to be an aphrodisiac. Maca plant is native to the mountainous regions of Peru and prefers cold, well drained (to dry) soils in an open sunny position. Frost and drought resistant. Perennial plant, growing to 5cm x 10cm. Off-white flowers in early spring. Be the first to review “Maca, plant” Click here to cancel reply.